There is no need to introduce Anton Krupicka. These socks were designed by him and depict vistas and colours from his beloved Colorado mountains. These socks not only look cool but also perform great! Anatomical cushioning protects the right areas of your foot from impact and friction while mesh vents provide good ventilation so that your feet can breathe and stay dry. Targeted compression at the arch and ankle areas gives you extra support. 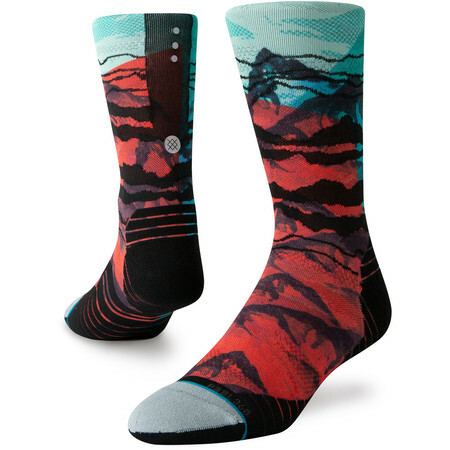 The crew is slightly thinner than in the regular Stance Fusion Run Crew socks to make them more breathable and less hot which means that you can use them comfortably even in the warmer summer months.